Our Certified Tick Removal Exterminators will identify the source of the Tick infestation and create a customized Tick Control Treatment Plan to eliminate the Tick Infestation. We have the know How To Get Rid Of Ticks. Let Us be your Ticks Extermination Company that you can rely on, Give Us A Call Today 1-844-305-8999. Ticks are arthropods that are sometimes mistakenly called insects. Insects have three body regions, six legs, and typically possess wings. Ticks lack wings. they have two body regions, and depending upon their developmental stage, may have either six or eight legs. Ticks possess tremendous potential for transmitting disease-causing organisms to humans and other animals. These organisms include protozoa, viruses, and bacteria. Bites from certain ticks (Deer Ticks), (Black Legged Ticks) can cause a rare limp paralysis starting in the lower limbs and moving upwards with death resulting if the tick is not promptly removed. 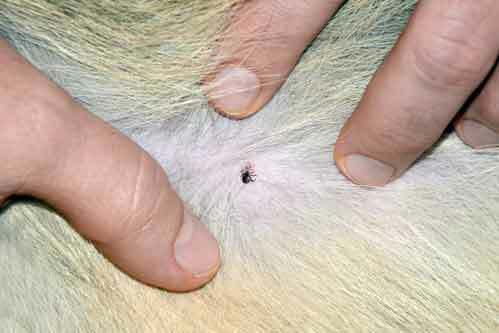 Additionally, tick bites can cause skin irritations or even allergic reactions in sensitive people who are repeatedly bitten. Ticks are small arachnids, part of the order Parasitiformes. Along with mites, they constitute the subclass Acari. Ticks are ectoparasites, living by hematophagy on the blood of mammals, birds, and sometimes reptiles and amphibians. 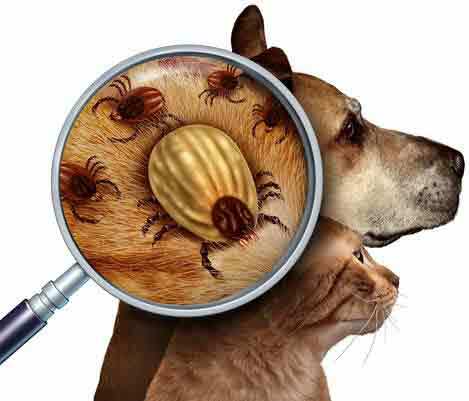 Ticks are vectors of several diseases that affect both humans and other animals. 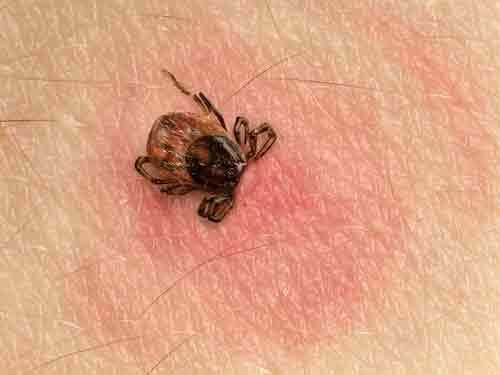 There is a wide range of symptoms that usually develop days to weeks after the tick bite. The symptoms depend on the microbe that is transmitted. People who go through grassy areas and woods are at higher risk for tick bites, especially during the months from April through September. People who travel through such areas out of necessity or for recreation are at higher risk than those that protect themselves with appropriate clothing and DEET-containing repellents. 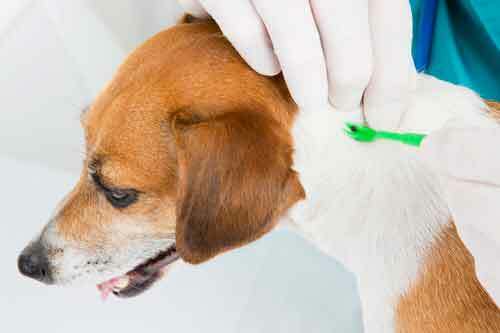 In addition, people who have pets treated with flea and tick repellents decrease their risk of tick bites and a Tick Infestation. People who live in areas surrounded by tall grassy areas or woods have a higher risk for tick bites. If Tick Bites are common on your property or inside your home call our Tick Exterminators, we are experts in Tick Extermination and specialize in Tick Removal where ever they hide. 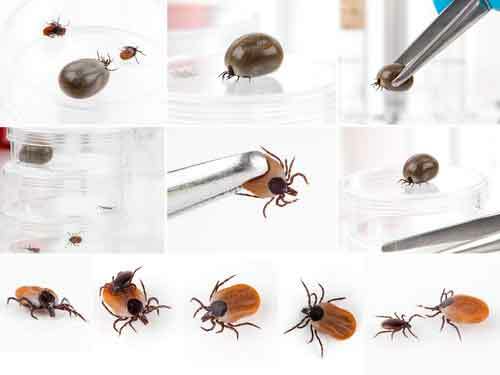 Lyme disease is caused by the bacterium Borrelia burgdorferi and is transmitted to humans through the bite of infected blacklegged ticks. Typical symptoms include fever, headache, fatigue, and a characteristic skin rash called erythema migrans. If left untreated, infection can spread to joints, the heart, and the nervous system. Lyme disease is diagnosed based on symptoms, physical findings (e.g., rash), and the possibility of exposure to infected ticks. Laboratory testing is helpful if used correctly and performed with validated methods. Most cases of Lyme disease can be treated successfully with a few weeks of antibiotics. Steps to prevent Lyme disease include using insect repellent, removing ticks promptly, applying pesticides, and reducing tick habitat. The ticks that transmit Lyme disease can occasionally transmit other tick borne diseases as well. Ticks might be small bugs, but they can cause big problems for your dog. Check your pet for ticks every day if she’s been in a grassy or woody area, no matter where you live. While these pests are more common in certain parts of the country, like the Northeast, they lurk in every state in the continental U.S. A Tick will feed on blood. When one of them bites your dog, it can pass on illnesses like Lyme disease and Rocky Mountain spotted fever. Both can cause stiffness, joint pain, and other health problems. 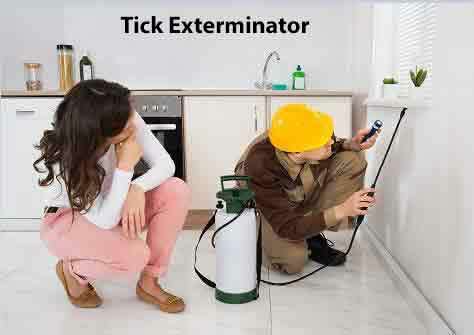 Once you notice a Tick Infestation call Dependable Exterminating we are experts in Tick Control. Give Us A Call Today. 1-844-305-8999.